The view of Mt. Whiteface from the Ferncroft Road parking area. 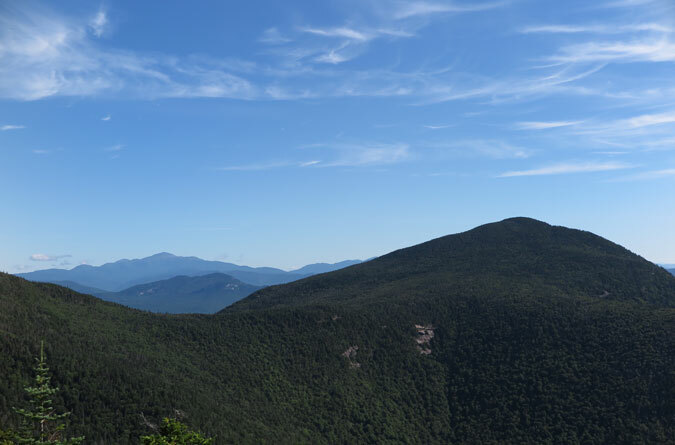 Arrive later than 8 a.m. to hike 4,000-foot neighbors Mounts Whiteface and Passaconaway on the weekend and you’re likely to find cars overflowing the parking lot and jamming the road. What’s great about these mountains—aside from the stellar hiking, of course—is a spider-webbed trail system crisscrossing the mountains with choose-your-own-adventure loop options, all of which keeps the clot of cars from translating into circulatory issues on the trails. And while the paths are well marked and maintained, a map is essential. The loop outlined here—ascending via the Blueberry Ledge Trail and descending via the Walden Trail and Wonalancet Range Trail—is an exercise in interval hiking with each side of the loop featuring well-spaced steep ascents and rock scrambles, so picking a direction is somewhat of a coin flip. Pressed to call it in the air, I’d choose Blueberry Ledge as being marginally more difficult and thus the better ascent. The main parking lot is on Ferncroft Road at the back of a pasture. Out of respect for the residents, vehicular traffic and parking are prohibited beyond the parking area; however, Blueberry Ledge and several of the other trailheads require continuing along Ferncroft Road by foot. There’s one memorable sign that reads “Private Road” with a sub-sign clarifying “Hikers Welcome.” Speaking of the signs, keep your eyes peeled because the natural wood signage with blue print can be easy to miss amongst the trees. 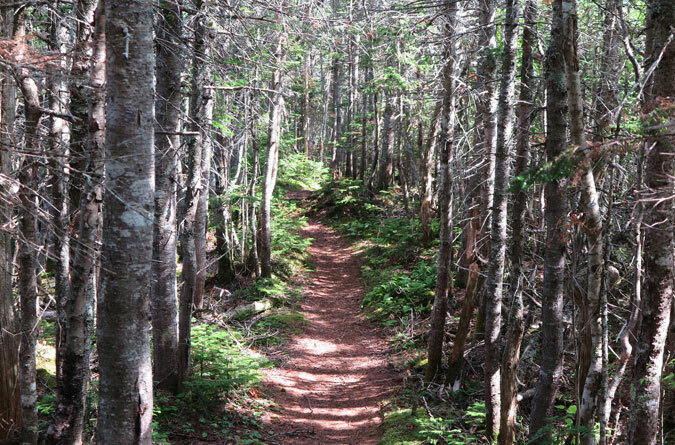 According to the AMC’s White Mountain Guide, the Blueberry Ledge Trail dates back to 1899. The beginning of the trail has an old-time feel, meandering through the Sandwich Range Wilderness with a purposeful lack of direction. After all, if you’re going to take a walk in the woods, you might as well take your time and enjoy it. Eventually, the trail settles upon a direction—up. 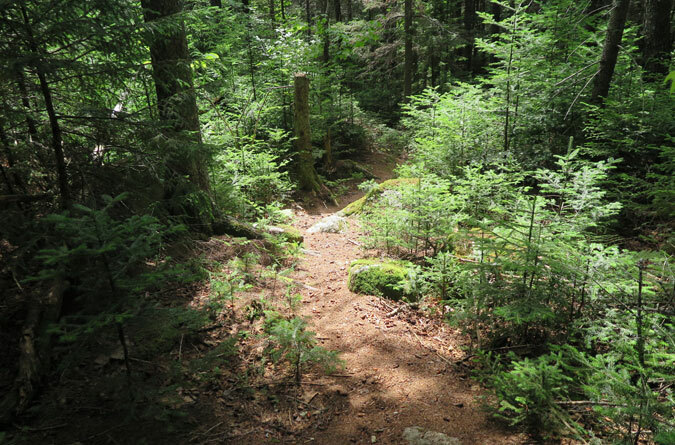 The Blueberry Ledge Trail features short bursts of steep and rocky climbs with less demanding stretches in between to catch your breath and calm the thighs. The bottom section of the ledges has an Acadia feel with partial views, various species of conifers, exposed granite, and, yes, blueberry bushes. 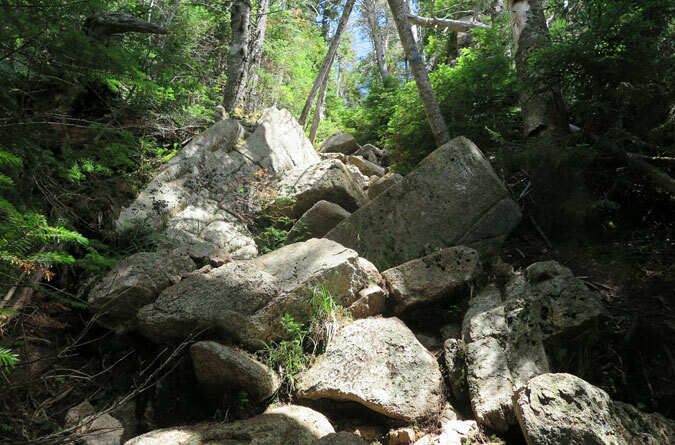 The interval climbing soon neglects the “breaks” between ascents with the upper section of the trail offering steep rock staircases and scrambles that can be hazardous in inclement weather. Otherwise, it’s also a whole lot of fun. The first vantage points from the Blueberry Ledge Trail offers southern views. The upper section of the ledges on the south peak of Whiteface present serious rock scrambling fun. In this image, the trail cuts to the left around the boulder. This is also why the Blueberry Ledge Trail is best avoided in wet or icy conditions. Mt. Passaconaway as viewed from the Blueberry Ledge Trail near Mt. Whiteface’s southern peak. Another shot of Passaconaway and its southeastern ridge. The ridge connecting Mt. Whiteface to Mt. Passaconaway (with Mt. Washington photo-bombing in the background). Hikers connect the dots here on a loop hike via the Rollins Trail. 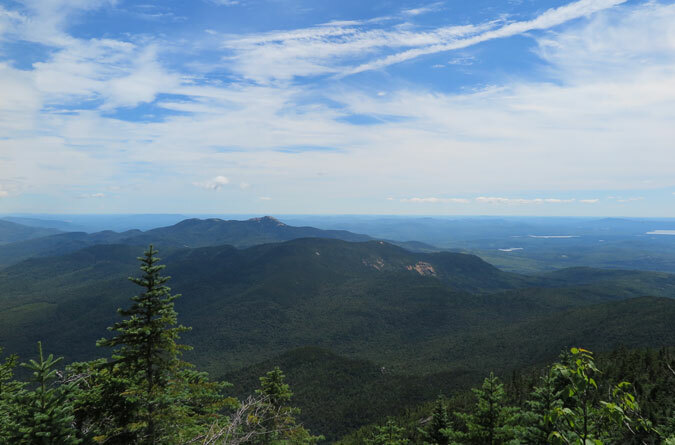 For this clockwise Whiteface-Passaconaway loop hike, the Rollins Trail begins at a three-way intersection with the Blueberry Ridge Trail and McCrillis Trail on Whiteface’s southern peak. 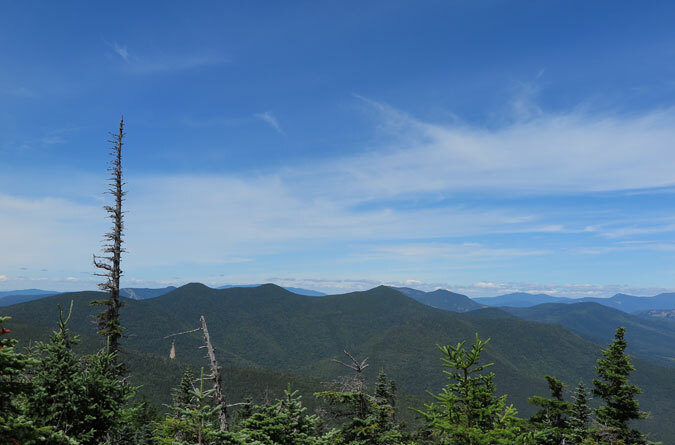 From here, there’s a rocky descent into the col between the two peaks before ascending to the wooded Whiteface summit. The remainder of the Rollins Trail crossing over to Mt. Passaconaway is mostly easy going with a few short climbs. A typical, smooth stretch on the Rollins Trail. The Rollins Trail eventually connects onto the Dicey’s Mill Trail and climbs for a short distance before reaching the intersection with the East Loop. If you aren’t familiar with these trails, this junction can be disorienting. Looking at the map, you’ll see there’s a loop that circles the Passaconaway summit. So the “East Loop” trail sounds like the way to go, but this trail only connects the bottom of the loop between Dicey’s Mill Trail and the Walden Trail. For this hike, you want to stay left at this intersection, continuing on the Dicey’s Mill Trail to the summit. 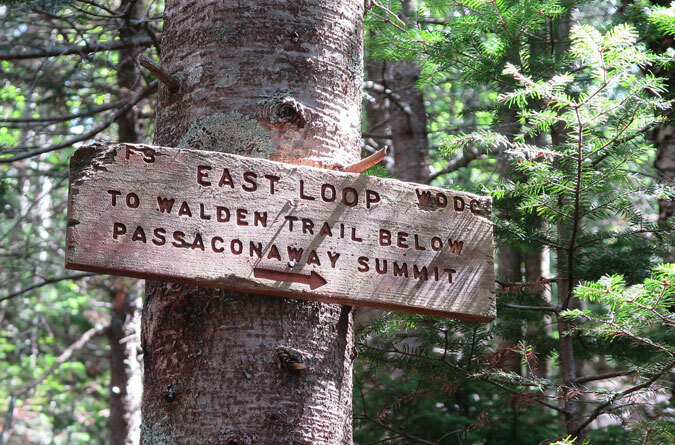 The East Loop trail sign. Ignore the arrow on the sign and stay to the left on Dicey’s Mill Trail for the most direct path to the Mt. Passaconaway summit. The Dicey’s Mill Trail works up to the Mt. Passaconaway summit via a series of rocky switchbacks. Along the way is this lookout with a northern view over the Tripyramids. The Dicey’s Mill Trail ends at a junction with the Walden Trail just beneath the wooded Mt. Passaconaway summit, reached via a spur path. While there is no view from the Passaconaway summit, there are three (four with a little more work) viewpoints along the way that make hiking this mountain worth the effort. 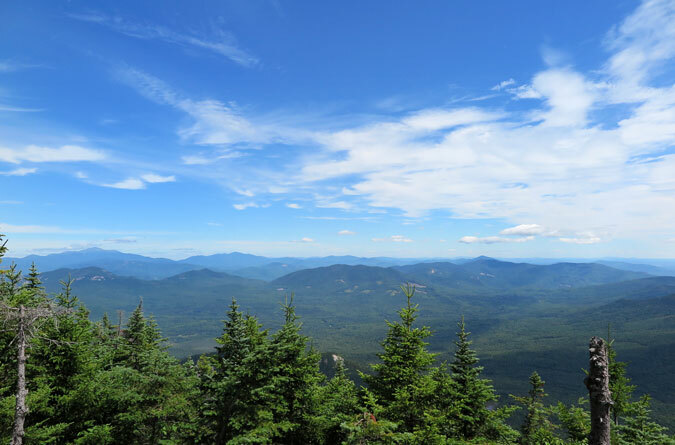 The Walden Trail section of this hike begins with a bang, quickly reaching the finest of the Mt. Passaconaway viewpoints, known as the east lookout. Before this lookout, there’s also a spur trail on the left that descends .3 miles and 200 feet to another northern viewpoint. The view of Mt. Chocorua from Passaconaway’s east outlook. 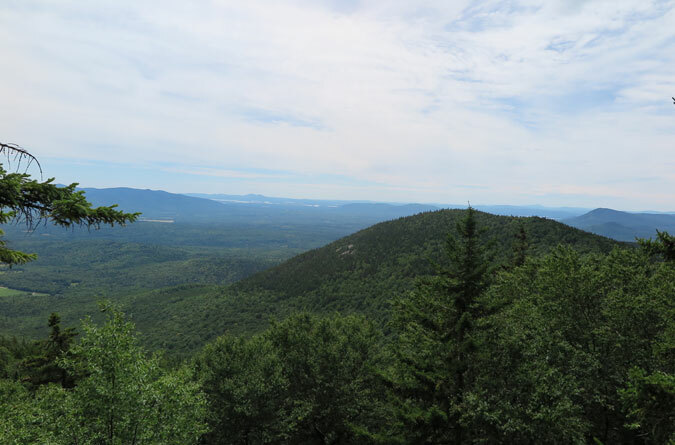 From the east lookout, the Walden Trail offers one more vantage point, a southern view, before beginning a steep descent. 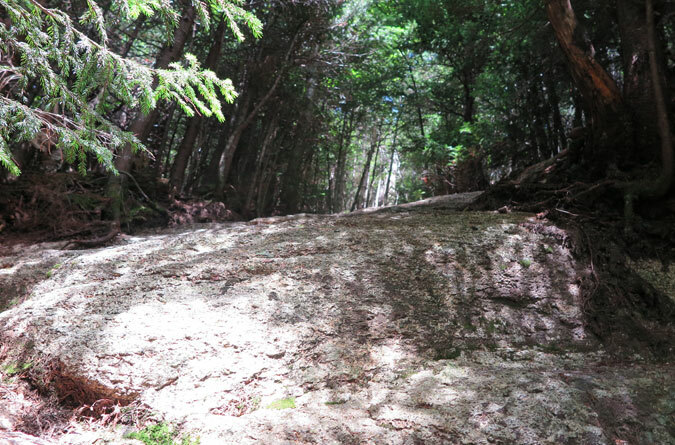 Similar to the Blueberry Ledge Trail, the Walden Trail throws the kitchen sink of rock scrambles at hikers. Part of the Walden Trail fun. More reason to be cautious in bad weather. Stay to the left on the Walden Trail at the Loop Trail junction, and then to the right at the Square Ledge Trail intersection. There will be a couple of short ascents mixed in, and in one col the trail crosses a small stream. After climbing out of here, the trail soon reaches the Wonalancet Range Trail junction. The Wonalancet Range Trail descends Mt. Passaconaway through a charming section of coniferous forest in the Sandwich Range Wilderness. The only real climbing of note from this direction is over Mt. Wonalancet, which, after the rigors of this loop hike, is merely a speed bump. There is an option to bypass the Wonalancet summit, something that’s worth considering in wet weather to avoid the steep sections of exposed granite on the southern descent. A southern view from Mt. Wonalancet. A typical stretch of the Wanalancet Range Trail through coniferous forest. The Wonalancet Trail cruises into a valley alongside Spring Brook, ending at an intersection with the Old Mast Road. Turn right here, and the Ferncroft Road parking lot is a mere o.1 of a mile ahead. Google Map directions from your present location.